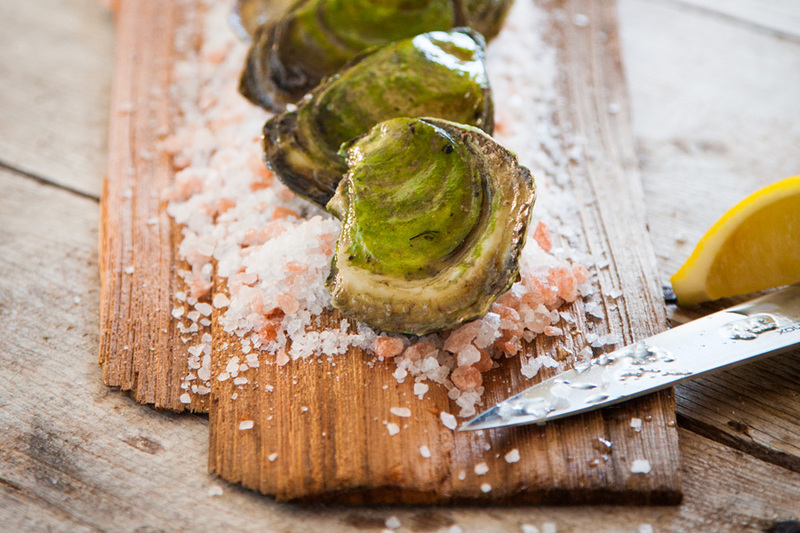 Prince Edward Island oysters (Crassostrea virginica) freshly shucked and served on the half shell, are a delicacy in high demand around the world. 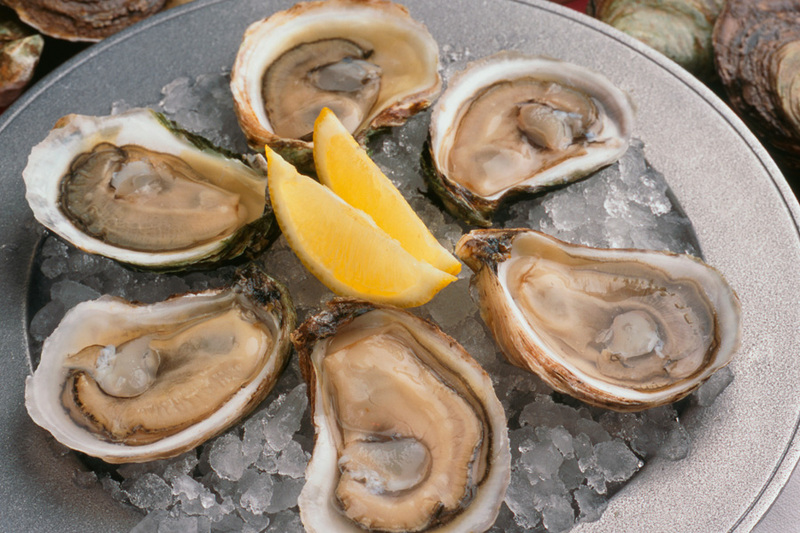 The flavour of Prince Edward Island oysters reflects the water quality, minerals, salinity, and the type of nutrients available in the water. 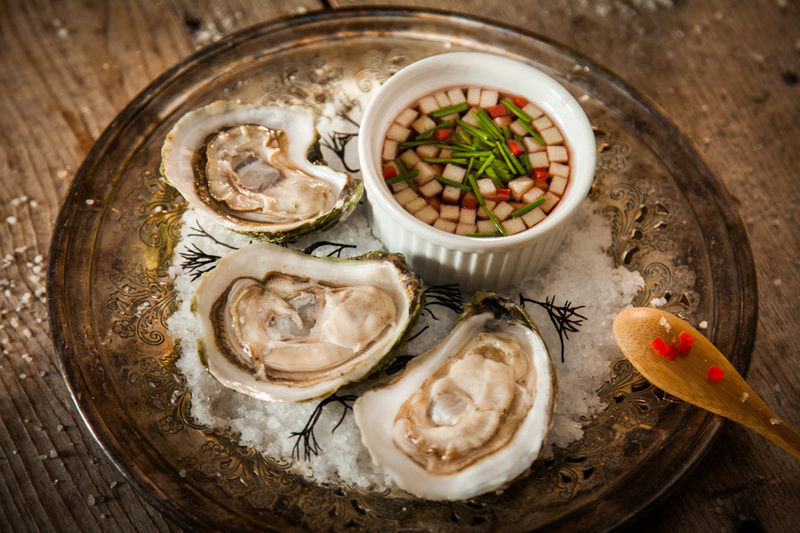 Prince Edward Island has a variety of different bays and coves that provide numerous distinct tastes profiles for the oyster connoisseur. Oysters are scientifically classified as molluscs. Protecting their soft bodies is a hard shell made up of two valves which are joined by a hinge. The majority of oysters have a shell color that is primarily a mixture of grey, green, white, and brown, with a smooth white interior. Oysters are harvested by fishers on public beds and produced by aquaculturists on private leases. Oyster farming on Prince Edward Island originated in the early 1900’s and the industry has expanded over the past thirty years. There are two forms of oysters that are marketed on Prince Edward Island. The traditional oyster measuring more than 76mm in length and the cocktail oyster measuring less than 76mm in length. Oyster grades include choice, standard, and commercial. Prince Edward Island harvesters take great pride in their oysters. Harvesting methods include the use of rakes, tongs, and dredges. After harvesting, oysters are cleaned, graded, packed, and the shipped to markets around the world.